The European version of the Soyuz rocket preparing for launch in Kourou (Credits: ESA). According to Marina Gridneva, Russian Prosecutor General’s Office spokeswoman, the recent mishaps of Russian launchers was a consequence of negligence by space industry enterprises’ employees. On August 18, the Russian space agency suffered a failure of a Breeze-M upper stage, which sent an Express AM-4 satellite into an useless orbit. One week later, on August 24, a failure of a Soyuz third stage caused the loss of a unmanned Progress supply vehicle. “Both incidents were the result of negligence by employees of state space industry enterprises subordinate to Roscosmos,” said Gridneva, “[negligence] during control pre ocedures, as well as the absence of proper control by Roscosmos of decision-making by authorized persons,” Gridneva said. Vladimir Popovkin, Roscosmos Head, acknowledged the finding, and precised that the problem is rooted in outdated regulations and manuals, which were developed during the planned economy period, and do not work as well in a market environment. “The report from the Interministerial commission does not attribute any fault to design or production,” said Mikhail Azeev, chief of safety and certification department at RSC Energia, to the Space Safety Magazine. “The production process has not been changed following the accident, but additional layers of verification has been added to insure quality control,” he said. According to Gridneva, the Prosecutor General’s Office has proposed introducing criminal punishment for employees of commercial organizations found guilty of causing serious damage to the country’s space industry. The Soyuz rocket, with its record of more than 1700 successful launches, is still considered the most reliable rocket ever flown. 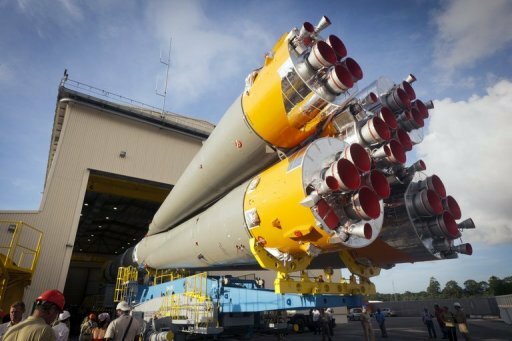 On October 20, an upgraded Soyuz rocket, operated by Arianespace, will make its historical maiden flight from Kourou spaceport in French Guyana. On October 3, 2011, the launcher has resumed its schedule, placing into orbit a Glonass satellite. According to NASA, crew transportation to the ISS will be resumed on November 14. Video, below, the launch of Progres M112-M.